Founded in 1998, the EMEA Power Transmission Distributors Association (EPTDA) today is the largest organisation in Europe, the Middle-East & Africa, of distributors and manufacturers of power transmission and motion control products, setting the highest commercial, environmental, social and ethical standards. EPTDA brings together more than 230 companies - distributors, manufacturers and associates - on one common platform. Overall, the EPTDA distributor and manufacturer members represent over 26 billion euro annual sales volume of PT/MC products. The EPTDA member companies employ more than 250,000 staff worldwide, including Europe, North America, Africa and the Middle East. They are based or have representation offices across 30 countries, with the majority (top five) located in Europe (Germany, Italy, UK and The Netherlands) and the US. 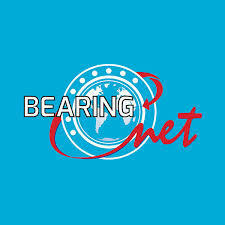 BearingNet is the world's largest Bearing and Power Transmission inquiry system and information service designed exclusively for Bearing and PT Distributors. BearingNet gives you access to the inventories of 1476 of the most important distributors around the world with a combined inventory value of over $10 billion dollars. KS PERMAGLIDE is part of these important Database. KS PERMAGLIDE® information and 3D data is available from Traceparts. The Traceparts CAD portal is available free of charge for users and currently has 1.7 million users worldwide. Design engineers can adopt CAD data into new assembly groups or models to be developed directly and in a targeted way. KS PERMAGLIDE® is available there with all products.